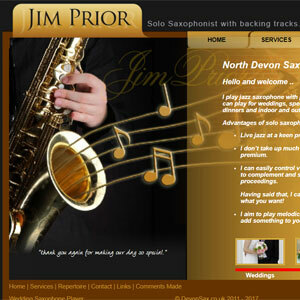 Living in North Devon myself, I enjoy creating local web sites. Far too many websites for North Devon businesses are not particularly good and do not perform that well in the search engines. Applying my skills allows many North Devon Web Sites to look professional and rank high on the search engines; bringing business to North Devon, in the fields of manufacturing, tourism or whatever. A long time client, with the website recently recreated. Fully responsive, hand coded, unique design. 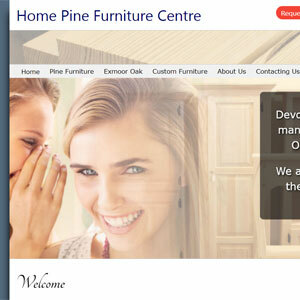 Home Pine manufacture and sell Pine & Oak Furniture from their workshop and furniture store in Barnstaple. 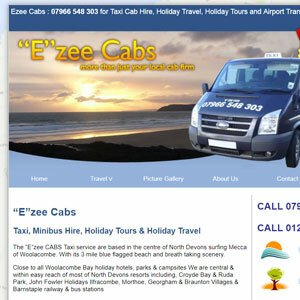 A fully optimised and responsive website. Though not designed by, it is created and maintained by myself. 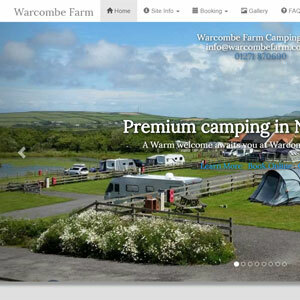 Warcombe Farm Campsite offers camping on their landscaped campsite, with outstanding panoramic sea views. Our site is nestled between the villages of Mortehoe, Lee and Woolacombe, and is close to the town of Ilfracombe. 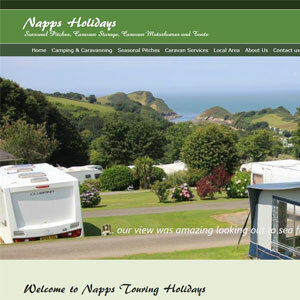 An ideal location for all those looking to be caravanning and camping in North Devon. Only a small website, recently recreated to be full responsive, optimised and pleasure on the eye. 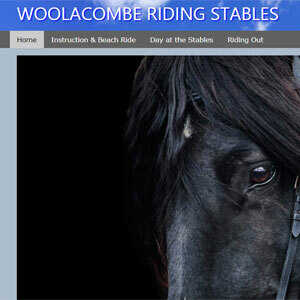 Woolacombe Riding Stables are in the valley of Woolacombe. Teaching and introducing adults and children to the joys of horse riding. The stables are situated at Eastacott Farm and visitors can ride over 200 acres of countryside as well as additional rides across the sand dunes at Woolacombe and over the 3 mile long stretch of golden sandy beach. The website is fully responsive and optimised. It also includes an availability system that integrates with the AirBnB systems. The Shepherd's Hut itself offers romantic and cosy glamping within its small orchard on Easyter Barton Farm, Berrynarbour, near Combe Martin. A site created some time ago. A local artist, based near Mortehoe and Woolacombe, with lots of experience who exhibits and sells work locally. She offers art lessons and a variety of art workshops giving you the opportunity to try out different art media to see what suits your particular style. Try drawing media, watercolour or Acrylic painting or pastels. 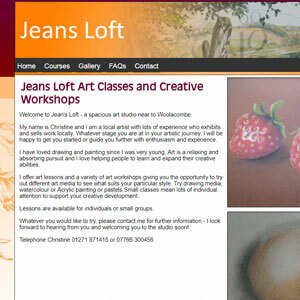 Small classes mean lots of individual attention to support your creative development. A new design for late 2017, full responsive, mobile friendly with a bespoke CMS. Set in the idyllic location of Berrynarbor, North Devon, this family run site offers peace and quiet on site, with plenty to see and do off site. A path just outside the gates leads down to a private beach with safe bathing – Broadsands Beach has been listed amongst the Uks top 10. The campsite also offers Seasonal pitches and Caravan Storage. An older website, that will get a redesign when I can find a spare moment. 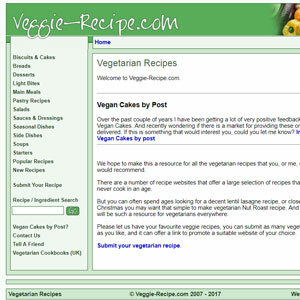 National exposure, but just a fan type site, based in North Devon, a repository for Vegetarian Recipes. A very complicated site, with a massive, bespoke dual content management system. This has been literally hundreds and hundreds of hours of work over 12 years. Sadly though, having been around for so long, it is not mobile friendly yet. This will have to follow when I can find time this year. 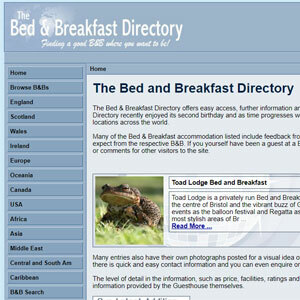 Still, a directory for B&B Accommodation with the team based in North Devon. The website is responsive, mobile friendly and optimised. The farm itself has been in the Lerwill Family since the 1500's, with the traditional stone barns recently converted to holiday cottages. On site there is an indoor heated swimming pool & games room. Outside seating areas where you can relax and take in the views. 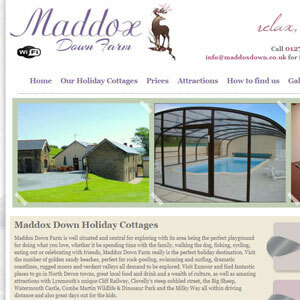 Close to Combe Martin, Maddox Down borders on the edge of Exmoor. If your target customers are local, you will understand the value of ranking on searches for your product or service locally. Google research into local behaviour reveals that local searchers take action. They are ready to act. Many visit a nearby location within a day and complete the purchase. 72% of consumers who search for local information on a smartphone visit a store within 5 miles. Consumers can be influenced to make a purchase in-store, rather than online .. if they they can see they are close to your premises. Why not request your free quote now ..
At Effective Webs, I'm based in Woolacombe, just a 3 minute walk from the beach and just a short bike ride from Barnstaple, Braunton, Ilfracombe. Even Bideford would just be a quick ride out. Of course, just one quick phone call or email away from anywhere. Ideally situated to support all my clients, both local businesses & further afield. I pride myself on being a cut above the rest, delivering excellent and effective websites. 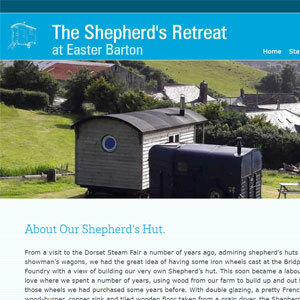 Contact me today to discuss your North Devon web design project. Many web developers go on about how they are so low cost. Thing is though, you really do get what you pay for. It's the extra time and attention to details, along with a big slice of experience, that pays the dividends, and continues to pay those dividends over time. Whether you're a new business looking to forge an online presence or a ready-established business in need of a new website or a website makeover, I can help you maximise your performance on the internet with a website that really works for you, not against you, and one that ranks highly in local search results on the search terms that really matter to you. In recent months, search engines such as Google rank active, mobile-friendly websites higher in search results because they provide a better user experience. That's a little bit simplistic, but it gives the gist. Of course, you don't have to take my word for it, try searching on my clients more likely search terms and see where they rank!